Established in the year 2006, we, “Excel Magnetics” are prominent manufacturer, wholesaler and retailer of Magnetic Separator, Vibrating Equipment, Magnetic Equipment, etc. This range of products is manufactured using superior raw material and cutting-edge technology. We have found a reliable vendor base to obtain the raw material. Our products are widely sough for strong construction, high performance, durability, optimum efficiency and minimum maintenance. Owing to this, our products find applications in various industries like chemicals, mining, minerals, material processing, ceramic handling, domestic waste recycling plants, food, pharmaceuticals, plastic manufacturing and glass manufacturing. We are supported by a prolific team of professionals, which helps us to deliver a defect-free range of products to the customers. Our team members work in unity to avoid kind of internal miscommunication. Organization of various workshops by us keeps our employees in sync in with current market tern and recent industrial innovation. For our smart team work and quality-approved products, we have gathered numerous customers in the market. Apart from this, there are various units in our infrastructure to carry our all business process in a systematic manner. Under the visionary guidance of our highly respected mentor, 'Mr. Shailesh Patel (Proprietor)', we have achieved high reputation in the market. They are very expert and have many years of experience in the industry. "To be the one stop customer’s solutions for any need in magnetic work." A robust infrastructure is a backbone of any noted manufacturing company. 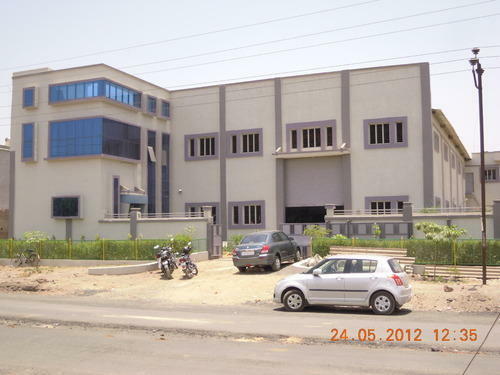 Hence, we have developed a state-of-the-art infrastructure, which is equipped with all the latest facilities. There are various units in our infrastructure, which helps us to design, engineer and test the whole range of products, complying to the set norms and standard of the industry. We have installed all the requisite machinery in the manufacturing unit to make updated range of Magnetic Separators and Equipment. Besides, our warehousing unit is very specious and well-facilitated with all safety measures to store the products with complete care and caution. We are backed by a team of hardworking, passionate, qualified and trained professionals, who have years of experience in their respective domains. They use all the available resources for making the products as per market demands and customers' requirements. In addition to this, our professionals work in close coordination with the customers for knowing their ever growing demands and needs in a better way. A sound research & development helps to develop products and reduces production cost. Keeping this in mind, we have installed various facilities in our research & development. This unit is manned by expert team of research professionals, which in engaged in innovating more cost-effective production process, without hampering the quality. Our research professionals work hard to improve the range of Magnetic Separators and Equipment, offered by us. This team also conduct various market surveys and advise us to work accordingly. Further, our experts conduct various researches to keep themselves updated with changing marketing conditions and advancement in technology. We are offering a superior quality range of Magnetic Separators, Vibrating & Magnetic Equipment and Industrial Magnets to our prestigious client. Satisfaction by quality and performance these are popular in our customer. Global quality products from appropriate source across the world at very competitive price. Offer complete technical help for our products & job work.